Be alone as you find out your college admissions decisions. 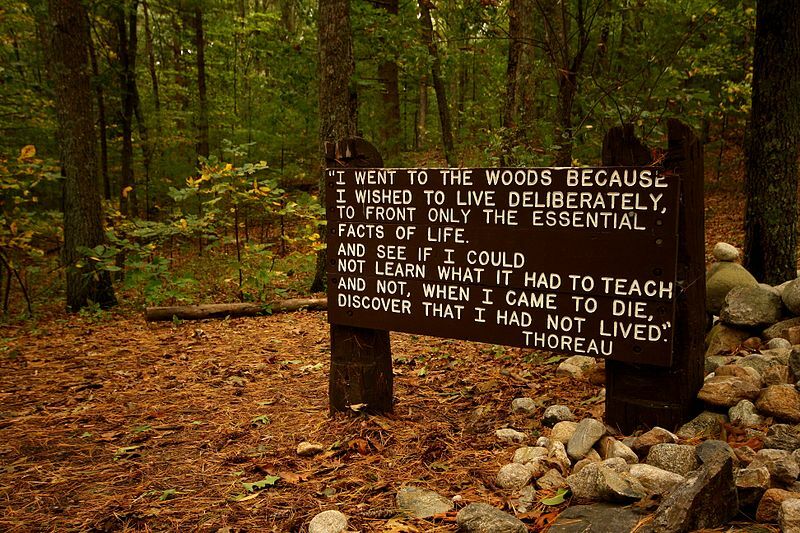 Like Henry David Thoreau. That kind of solitude (photo credit: Alex from Ithaca, New York). If you applied Early Decision (or Early Action), we want to give you some advice on receiving your admissions decision. First and foremost, be alone. You might think that it would be fun to open it with friends or family around, but it’s always best to take the news in all at once. After all, if you applied Early Decision and get in, this decision tells you where you will be spending the next four years of your life. That’s a big notification you’re receiving and you don’t know how you’re going to respond, no matter how much you think you do know. There are many videos up online in which parents videotape their child learning of their admissions decision. And those videos — when the student gets in — are great fun. But what about all of the times when the student doesn’t get in? Do those students really want that terrible moment recorded so that it can live on forever and ever? No — not at all. And it’s not like you need that moment recorded even in success. It’s not like you’re going to forget it. It will be engrained in your memory for many, many years to come. It’s a momentous accomplishment that you’ll always be proud of. So be alone when you read your decision (but relatives should be nearby — just not over your shoulder). Don’t have any sharp objects around you. Don’t read your admissions decision at school, with other students around. If you click and click and click and the site isn’t loading, walk away for a few minutes and try again. Often times, university servers crash because of all the applicants logging in all at the same time. Good luck with your Early Decision notifications!